The non-orthodox need to understand the Orthodox - and listen. Rabbi Yair Hoffman is a noted author and educator. He has authored 23 books and over 600 articles on Halakha and Judaism, served as RaM in yeshiva Kesser Torah, a Gemorah Rebbe in HANC, and is the former morah d'atra of the Young israel of Patchogue. Someone once compared the topic under discussion to the selling of Israel bonds at UC Berkeley – it is fraught with controversy. If one brings up using non-orthodox synagogues, the response – from both sides - is almost always a vociferous reaction. And one jam-packed with deeply rooted emotion. The truth is that one cannot really understand another person without having walked a mile in his or their shoes. The non-orthodox need to understand the orthodox. To do so, a metaphor might come in handy. No one would argue that John McCain, who passed away this week, truly loved America. He loved what it stood for. What it stands for. He loved this country’s ideals. He loved America’s principles. Its morals. Its standards. Two weeks ago, when Governor Cuomo made the horrific faux paus of saying that America was never great – his largely Democrat and liberal audience actually booed him. To those with any grasp of history and morality, America’s greatness was and is indisputable. The fact that our grandparents and great uncles fought the evil that was the Nazi regime and freed a continent subjected to unspeakable tyranny reflects our greatness. Although it may be hard for the non-orthodox to understand it, the orthodox love Torah-true Judaism. They love what it stood for and what it stands for. They love the Torah’s ideals. Its principles. Its morals and its standards. A rejection of these ideals and principles of Judaism to an Orthodox Jew is tantamount to rejecting the ideals and principles of America to an American patriot. 1.It is the Orthodox deeply held belief that there is a Creator who created the world. 2.This kind and benevolent Creator rewards good and punishes evil. 3.This Creator, Hashem, used the Torah as the blueprint of the universe. 4.This Creator endowed us with Mitzvos, both positive and negative ones, in order to benefit us. 5.He endowed us with a badge of honor, the observance of Shabbos, wherein we declare these ideals to the world that Hashem, created it all, and desires us to cleave to and emulate Him. A rejection of any of these principles is a stab in the heart of the precious legacy that is the birthright of Sinai - what the Orthodox hold so dear. Imagine, if you will, a Club of Racist Americans that rejects Jefferson’s immortal phrase – “All men are created equal.” Would a true patriot either rent or allow classes to be held in their building? Picture further Organization X that denies others their inalienable rights to the pursuit of life, liberty, and the pursuit of happiness. On principle, would any self-respecting American attend a birthday party in the building of such an organization? And while the overwhelming majority of Reform and Conservative Jews do feel a connection to Hashem and to Judaism – they don’t really know that their organizations reject many of these five aforementioned principles. When Reform Rabbi John L. Rosove, senior rabbi of Temple Israel of Hollywood, California writes on the premier website of Reform Judaism that he does not believe in the G-d of the bible – this is a rejection of principles 3,4, and 5 and quite possibly 1 and 2 as well. When the Conservative movement voted to approve driving on Shabbos to attend synagogues in the 1950’s this was a rejection of principles 3,4, and 5. In 2006, when the Conservative movement’s Committee on Jewish law and Standards declared that an entire section of the laws of family purity no longer applies this continued the rejection of Torah true Judaism. The Orthodox objection is to the organizational rejection of the ideals, but in no way do the orthodox reject the Reform or Conservative Jew. Conflating and obscuring this distinction is a tactic of some of the less ethical members of the Reform and Conservative clergy. The purpose of this falsehood is to rally the masses against the orthodox and to draw away attention from the organizational rejection of thousands of years of Torah-true belief. But let’s get back to the headline – the halakha itself about using the buildings of Reform and Conservative synagogues. 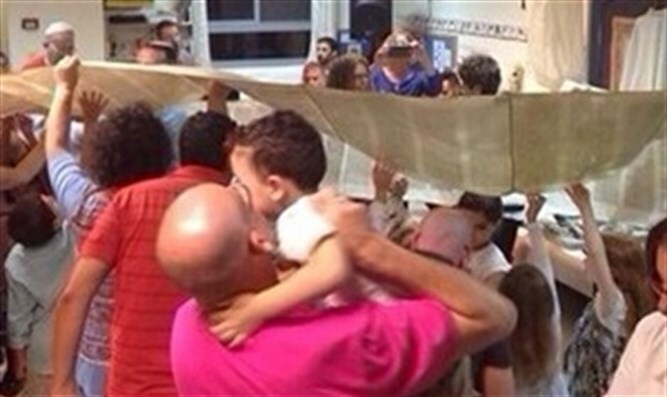 The Maharam Shick (OC #71 and #305) writes that praying or spending time in a synagogue that does not conform to Torah law is a Torah prohibition. The Gemorah in Yuma (70a) explains that the appearance of doing a Mitzvah is considered like doing a Mitzvah on account of the verse, “berov am hadras melech the greater the number of people the more glory to the King.” Since praying in a place that does not conform to Shulchan Aruch is considered by the Rambam as a sin (See Rambam Hilchos AZ 11:1), even appearing there at the times that they pray is forbidden. The Maharam Shick understands this as a Torah prohibition. Rabbi Chaim Sopher a student of the Chasam Sofer and author of the Machne Chaim absolutely forbids entering a non-orthodox synagogue (YD Vol. III #30) as well. He further forbids other interactions with them describing them as deniers of Moshiach, of the rebuilding of the Beis HaMikdash and its Korbanos, etc. More recently, Rav Moshe Feinstein zt”l has a responsum about the topic - Igros Moshe EH Vol. II #17 – dated Monday, September 24th, 1962 – the 25th of Elul. Rabbi Chaim Dov Spring Shlita was a talmid of the Mirrer Yeshiva in Brooklyn and of Yeshiva Beis Yoseph under Rav Avrohom Yaffen. Initially to the chagrin of Rav Yaffen, Rabbi Spring had joined the US army as a chaplain between the Korean Police action and the Vietnam War. He was stationed at Fort Leonard in Missouri and very soon had some 500 talmidim/Jewish soldiers who took interest in Judaism. He was highly successful in his kiruv attempts– introducing them to the Mitzvos, obtaining Tefillin and Tzitzis for them. One such student was a certain M.N. Michael was getting married at Congregation Beth El, a Conservative synagogue in Milwaukee. Rabbi Spring wanted to make sure that the wedding was halachically valid with kosher witnesses. 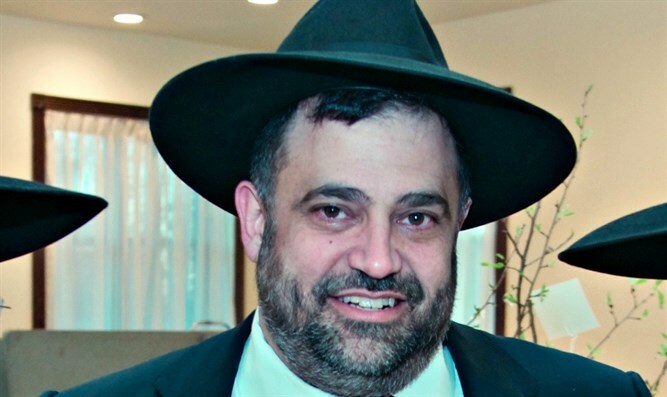 Rabbi Spring posed the question as to whether he and another kosher witness - Rabbi Meir Kagan, the director of HaPoel HaMizrachi in Chicago, could attend the wedding as the witnesses. Rabbi Spring explained to Rav Moshe that no one knows them there and it is out of town. a kosher individual should not be present at a wedding in a Conservative Temple where the Rabbi will officiate. If, however, a kosher Rabbi will arrange the Kiddushin properly and the wedding is held at a time where people do not come to pray there – there is no prohibition technically – for there is no concern that they will suspect that he is praying there. Recently, the Jewish Community Center purchased a prominent Reform Jewish synagogue in the local Five Towns area. Apparently, part of the contract in the sale stipulated that the JCC will continue to rent the temple section of the building to the Reform congregation in order for them to be able to continue to hold religious services.